Kalpataru guest house unveils beautiful accommodation facility in the small village of Lohaghat in the Champawat district. 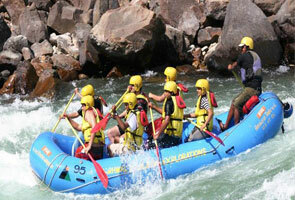 The hotels unfold tranquil and peaceful environment and is besieged by thick and dense forest of deodar and pine trees. The basic rest house offers array of facilities and services to travelers and draws hippie crows that are in search of serene and off beat destination away from the clutter and chaos of the city. With refreshing aura of the tranquil Himalayas and captivating lace of nature’s aroma the destination hooks the travelers and adds to one’s travelling experience. The town is located in the midst of sacred temples and offers beautiful views to fascinating lakes that are situated nearby. The guests can take a stroll through the wood to enjoy the freshness of the breeze and the can enjoy the view to colorful birds. 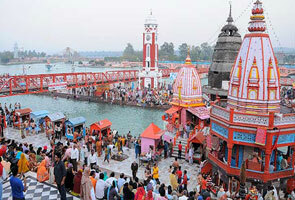 The guest house is situated in the Premnagar, Patan that is at a walk’s distance from the Lohaghat market. The arrest house is only 13 kms away from the Champawat and is around 62 kms away from the Pithorgarh enroute to Tanakpur. The Guest house is around 95kms away from the railway station of Tanakpur and around 2kms away from the Lohaghat main city. Some of the places which tourists can visit around are Film city stadium, Polytechnic College and other roadways workshops that are situated nearby. The weather here is always pleasing that allows one to stroll around even during day times. Some of the places that can be accessed nearby are Shyamla Taal, Devidhura, Jhooma Temple, Vanasur Fort, Barahi Temple, Abbot Mount and Galchura. The room of the guest house offers amazing accommodation facilities and ensures furnished rooms. The guest offers 5 semi deluxe rooms that comprise all modern amenities and services as in shower area, running hot and cold water, western toilets and bathroom toiletries. The guests if want can relax in the lobby area as it are a perfect place to laze around. The guest houses possess a 1000 sq feet hall and a 2000 sq feet area that is used for organizing parties and celebrations. The hotel offers sumptuous delicacies and dole out mouth watering local dishes of Kumaon that remain high in demand amid travelers. The dishes are well cooked and are completely authentic and are served with complete warmth and hospitality. The guest house is situated at a distance of 2kms away from Lohaghta in the Champawat district. The rest house is near to Premnagar at Patan. The hotel is located at a distance of 96kms away from the railway station. Lohaghat is strongly connected by motorable road. Travelers can board bus from Delhi ISBT Kashmere Gate and from Anand Vihar. 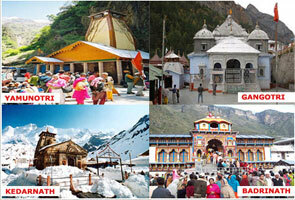 The nearest railway station is Tanakpur that is located at a distance of 60kms away from Lohaghat. 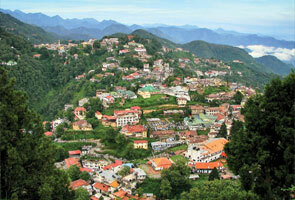 Moreover, nearest airport facility is Pantnagar that is situated at a distance of from Nainital.